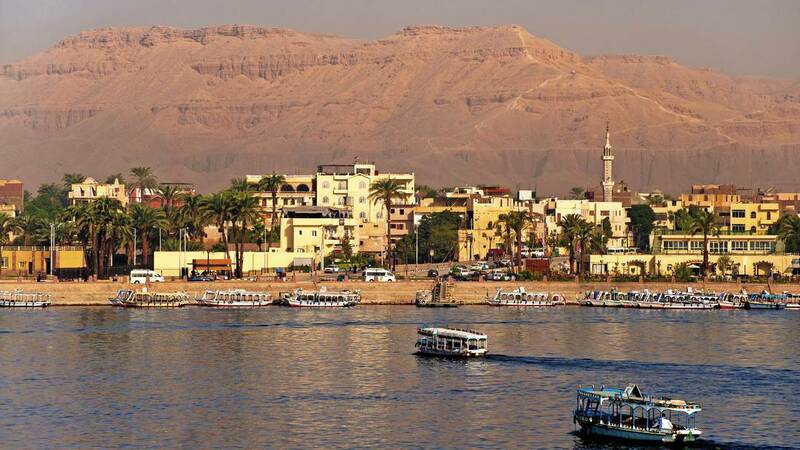 Luxor is a city that is located in Egypt and is the capital of Luxor Governorate. This city covers an area of one hundred and sixty square miles and has a population of approximately three hundred and seventy-seven thousand residents. Luxor is the site of the City of Thebes, which was the city for the god Amon Ra. In ancient Egyptian texts it was often called “city of the scepter” and it was later called Thebia by the Romans. The city became especially important during the eleventh century when it went from being a small town and became a large city that was known for it status. It would also become regarded as the center for religion, art and politics. Luxor attracted people from all over the ancient world including the Hittites, Babylonians, the Canaanites, the Phoenicians and the Minoans. Eventually, the city would lose its status to other prominent Egyptian cities such as Alexandria and Sais. Today, Luxor is a popular tourist attraction in Egypt thanks to its collection of ancient ruins and modern amenities. One of the most popular attractions in the city is the Karnak Temple Complex. This complex is made up of chapels, pylons and ruined temples. It is situated just outside of the city and is about three hundred and ten miles south of Cairo. The area around the complex was home to the palace of Ipet-isut and the temple of the Theban Triad. It is a large open air museum and one of the largest religious sites in Egypt, not to mention the world. A key feature of the Karnak Temple Complex is Hypostyle Hall. Hypostyle Hall has an area of fifty thousand square feet and contains one hundred and thirty-four columns. Luxor Temple is another prominent attraction in the city. This ancient Egyptian temple is situated on the Nile River and was founded around fourteen hundred B.C.E. It is called in the Egyptian language Ipet Resyt which means Sanctuary of the South. It was built during the New Kingdom and was dedicated to the Theban Triad of Amun, Chons and Mut. The oldest parts of the temple, the baroque chapels, are still standing and were built by Hatshepsut. In the back of the temple are chapels that were built by Alexander the Great and Tuthmosis III. The sun court was construted by Amenhotep III and the entrance pylon was built by Rameses II. Luxor Museum is another popular attraction in the city. This museum overlooks the Nile River and is situated in the center of Luxor. It was opened in 1973 and contains a collection of artifacts that is clearly labeled in multiple languages. Artifacts that are here include twenty-six New Kingdom statues, the mummies of Ramesses I and Ahmose I, objects from the tomb of Tutankhamun and a calcite statue of the god Sobek. Medinet Habu is another prominent attraction in the city. This temple is a New Kingdom structure that sits on the western bank of the city. The temple is four hundred and fifty feet long and looks quite like Ramesses II’s temple. The temple precinct is seven hundred by one thousand feet and has more than seventy-five thousand square feet of decorated wall reliefs. Inside the complex are the chapels of Nitiqret, Amenirdis I and Shepenupet II. Valley of the Kings is another site that has to be seen while in the city of Luxor. This valley was the location of many tombs that were built for the kings and nobles of the New Kingdom. The valley contains sixty-three tombs and chambers. It has been the focus of many archeological teams since the eighteenth century and is one of the most famous archeological digs on the entire planet. It was named a World Heritage Site in 1979, and it continues to be a major archeological site. Located in the Valley of the Kings is another extremely famous landmark, Tutankhamun’s Tomb. This tomb was discovered by Howard Carter in 1922 and was a treasure trove of arifacts. It took over ten years to empty the tomb of all its contents, mainly due to the extensive cataloging process that Howard Carter used. The key features of the tomb include the Burial Chamber, Antechamber, Staircase, Entrance Corridor, Treasury and the Annex. Today its opened to the public at an additional charge to the one that is levied upon entrance to the Valley of the Kings. The Mummification Museum is a fascinating attraction in the city of Luxor. It is situated in front of the Mina Palace Hotel and overlooks the Nile River. The purpose of this museum is to give the observer an understanding of the process of mummification. Mummification was not only used on humans by the ancient Egyptians, but was also used on animals. This can be seen at this museum with their extensive collection of mummified animals. This museum has an area of over six thousand square feet and contains the Hall of Artifacts, Video Room, Cafeteria and a Lecture Hall. Their are nineteen displays which focus on the following areas: Coffin of Padiamun, Gods of Ancient Egypt, Embalming Fluid, Mummy of Masaherta, Canopic Jars, Embalming Materials, Tools of Mummification, Amulets, Mummified Animals, Ushabtis and Organic Materials.